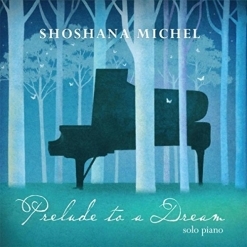 Prelude to a Dream is Shoshana Michel’s third solo piano album and her second as a composer. After a 24-year hiatus from composing music, once she started again, the flood gates opened wide. 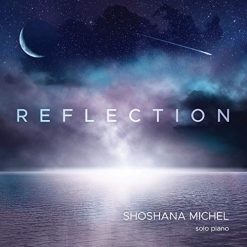 Shoshana’s first album of original music, Dancing on the Wind (2016), was nominated for Whisperings Solo Piano Radio’s “Album of the Year,” One World Music Radio’s “Solo Piano Album of the Year” and SoloPiano.com’s “Album of the Year.” It would not surprise me at all if the gentle, heartfelt music on Prelude to a Dream does just as well or even better. The eleven pieces on this album are all very soothing and played with an expressive tenderness. In some ways, it could be a lullaby album, as the repeated left hand patterns are hypnotic and the overall tone of the music is very quiet and peaceful. You won’t want to doze off and miss any of this, though! As he so often does, graphic designer Matt Streiby perfectly captured the feeling of the album with his cover artwork. Prelude to a Dream begins with “Wonders,” a delightful piece that exudes charm, wide-eyed innocence and, yes, a sense of wonder. Played mostly in the upper half of the piano there is a very sweet, childlike quality to this opener. The title track is a bit more poignant and bittersweet, but is just as beautiful and calming. As an Oregonian for ten years, “A Walk in the Rain” is something I’m very familiar with! 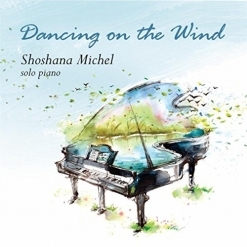 Shoshana’s piece begins with a delicate sprinkling that evolves into the kind of gentle rain shower that can make a walk very refreshing and even inspiring. It always surprises me how well rain can be described on the piano, and this is another excellent example. “Tender Words” overflows with grace - a moment of deep love and closeness. “Kaleidoscope” is lively and in constant playful motion. Delicate yet dynamic, it’s a favorite. “Meditation” is also a favorite with its minor key and feeling of looking inward. Very spare and quiet, this piece expresses some deep and powerful emotions. “Silent Farewell” is dedicated “to all those who have lost a parent to illness.” It’s an experience most of us have at least once in our lives, and it’s a profound one when someone we once thought was invulnerable and would live forever passes on. Although the emotional expression in this piece is sad, it is not without hope. The steady rhythm on the left hand makes me think of the passage of time and how nothing can really stop it - it goes on no matter what. This is my favorite piece on the album. “Ethereal” brings this wonderful album to a peaceful close with a touch of magical otherworldliness. If you are looking for a solo piano album that is quiet and calming from beginning to end, Prelude to a Dream is a must-have! This beautiful album will definitely be one of my Favorites for 2017! 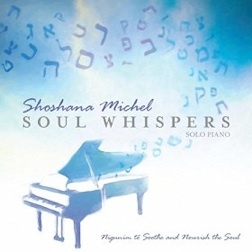 It is available from www.ShoshanaMusic.com, Amazon, iTunes and CD Baby. Very highly recommended!